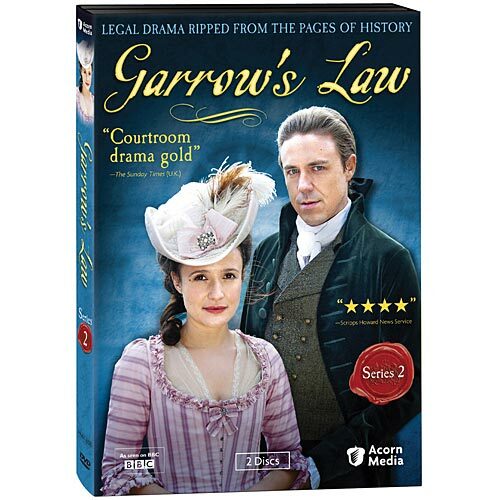 Andrew Buchan (Cranford, The Fixer) returns as fiery barrister William Garrow in this award-winning courtroom drama set in 18th-century England. In a time when prisoners in court have few rights, Garrow leads a legal revolution, coining the phrase "innocent until proven guilty" and defending the accused against the State. In return, he makes powerful enemies in politics and law. Chief among them is Sir Arthur Hill (Rupert Graves, Sherlock, The Forsyte Saga), now Assistant Secretary to the Admiralty. Jealous and vengeful, Hill wrongly believes that Garrow is involved with his wife, Lady Sarah (Lyndsey Marshal, Rome, Being Human). As Garrow tackles difficult and controversial cases, all drawn from the Old Bailey archives, Sir Arthur's net tightens around him. Soon Garrow is on trial, charged with "criminal conversation"--18th-century code for adultery. 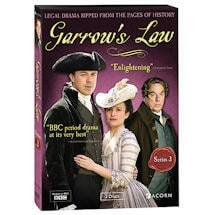 Can his friend and mentor John Southouse (Alun Armstrong, Little Dorrit, New Tricks) save Garrow's reputation and career? 4 episodes, 4 hours, 2 DVDs, SDH. When 133 Africans are thrown off a slave ship and drowned, Garrow is hired to prosecute the ship's captain--for fraud, not murder, since slaves are considered cargo. Meanwhile, Sir Arthur Hill begins legal proceedings against Garrow. Lady Sarah has been evicted from her home by Sir Arthur, but Southouse insists that Garrow cannot see her. A distracted Garrow turns to his latest case, forced to determine if the matter is blackmail, shame, or love. The Royal Hospital at Greenwich has a duty to care for disabled sailors. Instead, men are starved, mistreated, and left to die. When a man speaks out against the abuse, he is prosecuted for malicious libel--and Garrow is charged with defending him. Garrow scandalizes fashionable London when he's charged with adultery. Still, he looks for comfort from Lady Sarah after losing a case in which a young boy is hanged. Southouse uncovers a secret that could compromise Sir Arthur, but a crucial witness refuses to testify.